Romania have upset defending champions the Czech Republic to advance to the semi-finals of the Fed Cup along with France, Belarus and Australia, who defeated last year's runners-up the United States. Romania made the final four for the first time on Sunday with their first victory over the Czechs, who have won six titles in the past eight years, and they will now meet the French. Belarus, who beat Germany 4-0 in Braunschweig, will take on Australia, who won 3-2 in the US after Ashleigh Barty and Priscilla Hon overcame Nicole Melichar and Danielle Collins 6-4 7-5 in the decisive doubles. Earlier in the day, Barty restored Australia's lead with a 6-4 6-1 victory over Madison Keys before Collins evened things up at 2-2 with a 6-1 3-6 6-2 win over Daria Gavrilova. Irina-Camelia Begu and Monica Niculescu teamed up in Ostrava to clinch the best-of-five series against their hosts with a 6-7 (2) 6-4 6-4 over Czech pair Katerina Siniakova and Barbora Krejcikova. Romania took a 2-1 lead on the indoor hard-court after Simona Halep defeated Karolina Pliskova 6-4 5-7 6-4 in a reverse singles featuring two former top-ranked players. Halep improved her record against Pliskova to 7-2 to put Romania one win from advancing. Siniakova levelled the tie at 2-2 after defeating Mihaela Burzanescu 6-4 6-2. 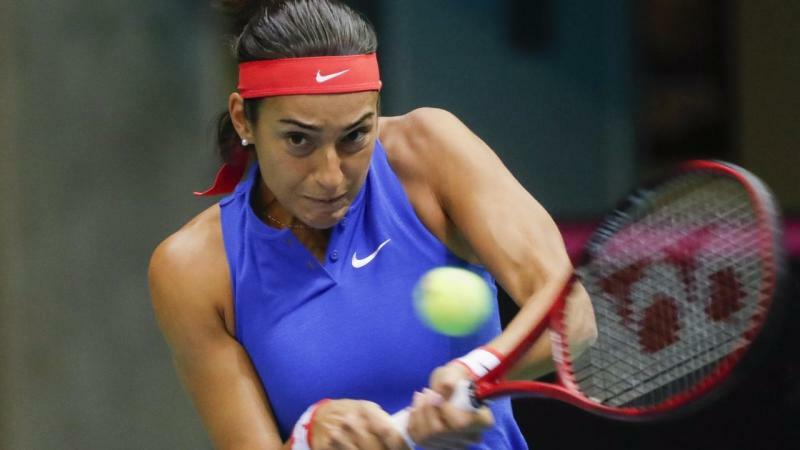 In Liege, Caroline Garcia clinched an insurmountable 3-0 lead for France over Belgium after easing past Elise Mertens 6-2 6-3 to set up a semifinal against Romania. Garcia marked her return to the Fed Cup for the first time since the 2016 final with a couple of victories after overcoming Alison Van Uytvanck 7-6 (2) 4-6 6-2 in the opening singles on Saturday. In the doubles, Ysaline Bonaventure and Kirsten Flipkens won a consolation point for Belgium with a 6-3 3-6 10-6 victory over Fiona Ferro and Pauline Parmentier to reduce the final score to 3-1 with the second reverse singles not played. Aryna Sabalenka cruised past Laura Siegemund 6-1 6-1 to give Belarus an insurmountable 3-0 lead over Germany. Sabalenka hit 18 winners to help Belarus avenge losing to Germany 3-2 last year in Minsk. In doubles, Victoria Azarenka teamed up with Lidziya Marozava to beat Mona Barthel and Anna-Lena Groenefeld 6-1 0-6 11-9 to win 4-0 overall.